We picked up our brand new Lancer ES Sport tonight, and we would just like to let you know that the staff you have working for you are very professional in every way. Ken was our Sales person and he was extremely professional, friendly, helpful and answered all of our questions. Miranda sold us the paint protection and tinted windows package and she was also professional in the way she sold the product. She wasn’t aggressive in her selling approach and was very professional. You should be pleased with the way your staff conduct themselves. We were very pleased with the price of the car, as we saw your advertisement on your website. 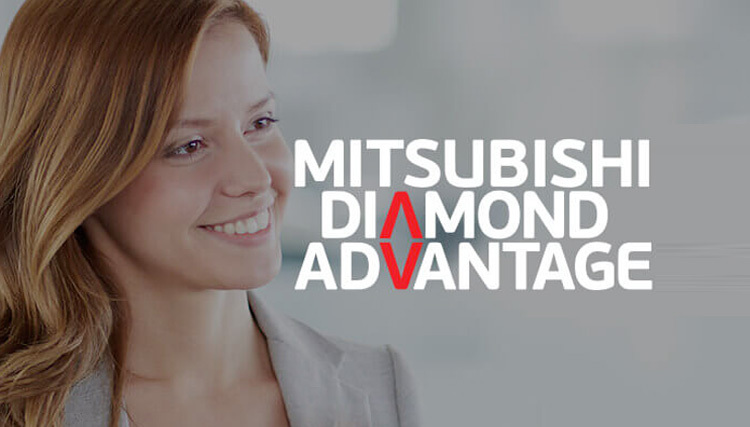 We looked at other Mitsubishi dealerships closer to us, but they couldn’t even come close to your price. Thanks again for a lovely experience buying our new car. Just wanted to say a super duper huge thank you for all of your help! And getting my car here so fast. I’m so in love with it! Thanks for persevering with me J You’re such a lovely person and you made the whole process very easy! 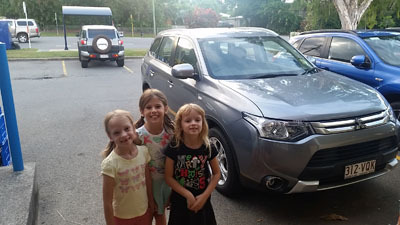 I just wanted to take the time to thank you and your fantastic staff at Toowong Mitsubishi for all the time and effort put into securing and delivering the car that I wanted for our family – my new Mitsubishi Outlander. I took delivery of this wonderful vehicle yesterday in Cairns. I especially want to pass on my appreciation to Mark Zapart. He has been friendly, courteous and always eager to help out with questions and shown considerable patience with me in hammering out the details of the contract. It can’t be an easy job selling cars – you must have your fair share of time-wasters, difficult customers and unrealistic expectations and customers that you think are going to sign but walk away at the last minute. I had been to a few dealerships, but the thing that I was looking for in particular was a sales person who wasn’t just going to treat me like a number on a sales sheet. Mark proved to be that person I was looking for and that’s basically why I bought with your dealership. It was the right car for the right price with the right person selling it. Once again, thanks for all your help and here’s a picture of my girls with the new car. You certainly put a smile on their faces! It has been a pleasure dealing with you, and we really appreciate what Darren is doing for us with the key, we are extremely happy with the car, and we will be recommending Toowong Mitsubishi to our friends, family and anyone we talk to about the car, we are very happy customers! My wife and I brought three cars at Toowong Mistubishi in the past three years. We would like to say a few good words of appreciation regarding Tim Wright. He is professional and polite in his behavior. He has a honest and frank opinion and makes the customers comfortable. We have developed good faith in him and feel very comfortable to buy our next car there. We will fully recommend Toowong Mitsubishi to our friends too. Another person we would like to name is Ms Kylie Mealy. She is also very efficient and understands the customers needs. Her opinion regarding the financing the car is done in good faith and understanding customers situation. Both the above persons have an excellent quality of keeping their the friendly nature after the sale. We seldom see such behavior after the Golden Handshake!!! During our recent replacement car purchase both of them kept us informed, answered our concerns and replaced the car on time. This makes us be your customers for long. Please pass on our gratitude to these two persons. It is good to have such professional people in the team and their efforts appreciated, too. I finally got the online survey and have just completed it. Looking at the various areas of service made me realize just how well you do your job (if I didn’t know already!). For all areas of sales service (pace of sale – geez you have patience!, knowledge of the Lancer and alternative vehicles, timeliness, communication, professionalism….everything) I was able to easily and honestly say it was all excellent. If you ever want someone to give you a recommendation, send them my way! My family has purchased 5 cars from Toowong Mitsubishi, every car we have purchased from there the guys are extremely helpful. When I purchased my new lancer I was assisted by Nick and Sebastian. I must say that both were fantastic but especially Sebastian; he helped me with everything and kept me up to date with delivery and any other queries I had about the car. This is why we always come back to Toowong Mistubishi. Just wanted to express my satisfaction with my recent purchase of a Lancer VRX. I am completely happy with the car, the deal and service provided. You should be aware that on arrival at your dealership I was inclined to buy a Lancer, probably Aspire, but not for a few weeks. Natasha Reed treated us with persuasiveness, but friendliness and respect, and convinced us to purchase immediately. It was well done, and I am pleased she did. Thanks for making the purchase a relaxed & pleasant experience. Let me know when that Ralliart Jacket comes in and i will drop you off some extra commission (let me know what you drink) seems you bent over backwards this week to get me into this car. So thanks for that. Also I will be recommending you to everyone that is in the market for an Evo. Will also give you a good wrap on EvolutionOZ for the public to see the great services you guys provide. I would just like to extend my thanks to yourself and your team at Toowong Mitsubishi for the recent delivery of my new Lancer Ralliart sedan. In particular, I was extremely impressed by the level of service and knowledge provided by Mr Sebastian Swann. I walked into the dealership late in January merely wishing to ask some questions from your Ralliart rep, and after spending some time with Sebastian discussing the car, was happy to discuss a purchase. He displayed a very good knowledge of the car, including many features that a previous dealer never mentioned. This thorough explanation and test drive was quite helpful in making the decision to buy the car, despite the fact I hadn’t intended to purchase it so soon. Sebastian was also very helpful and efficient throughout the financing and delivery stages, and I would not hesitate to refer any interested friends to Toowong Mitsubishi in future. Thanks again, and I look forward to dealing with you again in future. My husband and I have just recently purchased a Pajero from your dealership. I would just like to let you know that the staff I have dealt with in particular Melissa Gilding and Jessica Tomlinson, were extremely helpful, professional and made the whole experience very smooth. Their confidence and knowledge was very reassuing to me as I have never bought a brand new car before and was quite daunted by the whole idea. My father, George Teasdale, has in the past purchased a few cars through your dealership at Toowong and has had very positive experiences. I was pleased that my experience with these two staff members was the same. Please pass on my comments to these two ladies a I feel they did a terrific job and are a credit to your Dealership & profession. I would like to let you know of our experience in buying a vehicle from Anna Morgan-Varlow at your dealership. I have been looking for a new car for some time. I like to spend time over a purchase of such magnitude and therefore had looked at a number of vehicles at a number of dealerships over the past few months. I think what helped to make my decision was that Anna was prepared to give me all the information I wanted – if she didn’t not know the answer she found it out and got back to me quickly. She gave me time to make my decision without making me feel pressured and my wife and I found her to be totally professional in all our dealings with her. I hope I will be able to deal with Anna Morgan-Varlow next time I want a new vehicle. I’m very happy with the service you have provided to me, and the car is terrific..much more so than I had expected. I was simply after a standard GLX with air in the rear, and I feel as though I’ve ended up with a top of the line model for an incredibly good price. Again, many thanks and have a great Christmas. I have purchased 14 vehicles over 40 years and I have to say my experience at Toowong Mitsubishi was the most pleasant experience I have ever had. the sales person was friendly, keen to gives us what we wanted. I was happy to hand over my money and have recommended Pajero and Toowong Mitsubishi to a number of friends in the caravan club and relations. A new Brisbane Mitsubishi Challenger customer trys to contain his excitement as best he can. The tough new Triton makes another Brisbane Mitsubishi Customer one happy tradesman. Mitsubishi Triton customer compliments Natasha for her quality service throughout the purchase cycle. Dave talks up buying his brand new Mitsubishi Triton off Sebastian! Mitsubishi Pajero Short Wheel Base Customer talks about his experience with Toowong Mitsubishi Brisbane. Some very happy Mitsubishi Pajero customer of Leighton. A great story, this is their 6th Mitsubishi Pajero, love that car! Katrina and Bill explain why the Mitsubishi Outlander suits their young family. More Happy Toowong Mitsubishi Customers explain how buying of Natasha was fantastic. Brand New Mitsubishi Lancer Customers talks about how buying at Brisbane Mitsubishi Toowong was a pleasant experience. Thanks for your time last Saturday morning when we took delivery of our Challenger LS. Rhonda & myself would like to congratulate your team especially Sebastian on the whole process from initial enquiry to taking final delivery of our new vehicle. Your staff are well informed and courtesy is a priority, at no stage did we feel unattended and the service was second to none, even a Peak Downs highway road condition conversation with your front desk receptionist was friendly. Sebastian took the time to fully explain our new vehicle too us even going to the extent of setting up our phones to Bluetooth and between himself and Jo the final directions of how to exit Brisbane easily. Once again thank you , Sebastian, Jo, Cara and all your staff at Mitsubishi Toowong, it was a pleasure doing business with all. We were very impressed with your Sales Consultant, Sebastian Swann. He was extemely friendly and courteous and was more than happy to answer all our questions. The car was being bought for our teenage son, Nick, who was with us on the day we inspected the car. Seb was perfect in relating to Nick and answering all of Nick’s questions, especially regarding all the extras that could be added to the car. We would highly recommend Seb to any of our friends … just an all-round lovely guy! Just a quick not to say thank you to the team at Toowong Mitsubishi. Stephen, Frank, Donna and Yourself were superb to deal with throughout the whole process and more importantly the car is fantastic. I would be more than happy to recommend Toowong Mitsubishi to anyone looking for a new car. To the Toowong Mitsubishi sales team, Thank you for all your efforts and support in helping me choose a new car. Your service was excellent. The team were courteous and considerate. I received all the information I needed and was given appropriate advice in order to make an informed decision. I chose Mitsubishi cars due to the 10/5 yr warranty and 5 yr road side assist, and overall I considered them to be better value for money. I chose the Lancer model as at I was looking for a mid-size car in that price range. It was the most spacious inside, and best laid out interior compared to rivals. Also, the RX limited edition version made value for money even better. I had previously gone to another dealership, but found they could not get the model and colour of car that I wanted. The Toowong Mitsubishi sales team went out of their way to get me the model and car colour that I wanted. Due to the great service provided, I decided to buy through the Toowong dealership. I will recommend others to buy Mitsubishi cars through your dealership. This is my third new Pajero. It is another big leap forward in comfort and features. I love it. I am sure this one will be as bullet proof, and totally reliable as the previous two, one of which I have retained for the time being so I can be selective as to how I use the new one….will allow me to keep the new one newer for longer!!! Thanks again. Competetive price and excellent customer service. Refreshing to find a sales person genuinely keen to listen to and look after the customer. Well done Tim Wright, you are a credit to your company! I would like to express that David and myself were really happy with your staff, who took very good care of us on Monday customer service was excellent. David and I were happy with your staff, Frank, Donna and Kylie who looked after us for the day, they showed us personal interest, provided friendly atmosphere and took time to explain each step and process in the purchasing of a new vehicle. We would recommend Toowong Mitsubishi and Kia Dealership to our family and friends about your great service to us. Thanks! Batasi and David Morris.